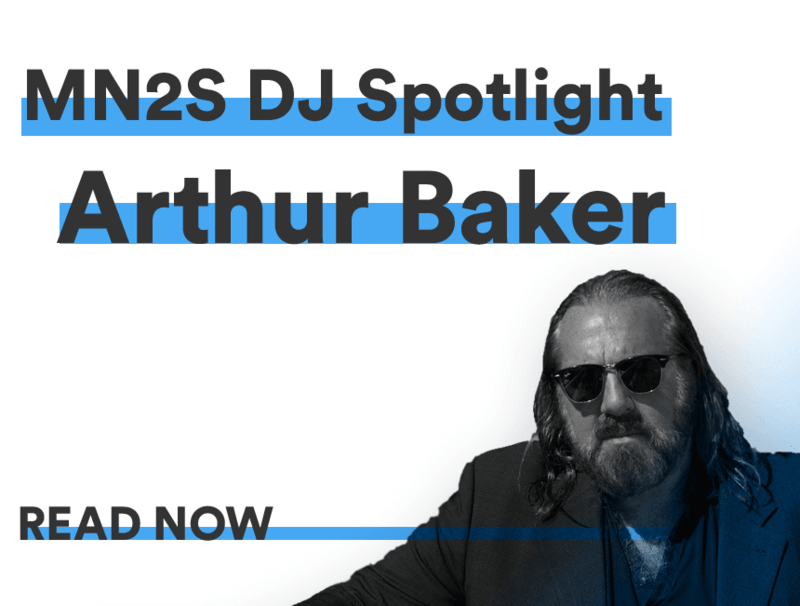 Though we represent a broad spectrum of artists, celebrities and talents at MN2S, from Akon to Zara Holland, it’s no secret that DJs like Arthur Baker are our bread and butter. Our extensive DJ roster spans house, garage, techno, dubstep and disco, taking in pioneers like Marshall Jefferson and Kenny Dope, while offering up contemporary talents such as Bok Bok and Salary Boy. Our new DJ Spotlight series aims to highlight some of the talented selectors on our roster, as we catch up on their career highlights and future plans, getting an insight into what’s on their minds and in their record bags. 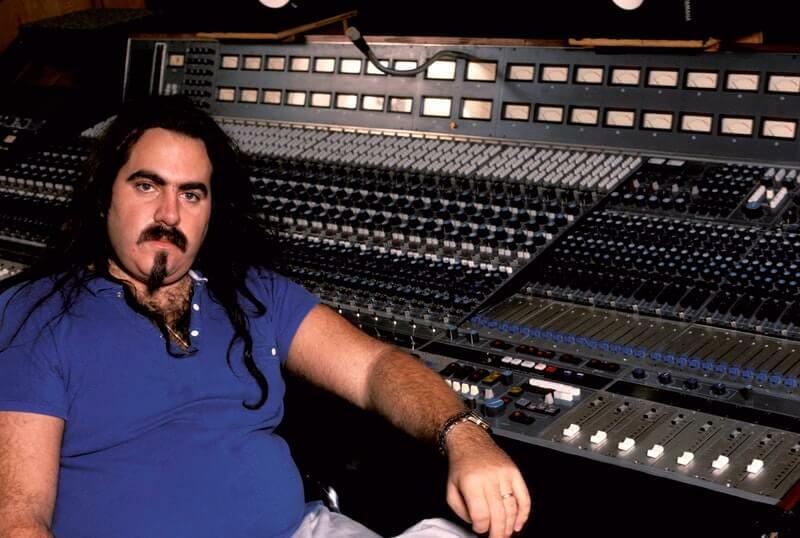 This week,we’ve spoke with legendary Miami super-producer and DJ Arthur Baker. Baker cut his teeth in the early 70’s playing classic soul and Philly grooves in his native city of Boston, before stepping out from behind the decks and in to the studio. In 1982 Arthur Baker produced two iconic hit singles that would propel him to mainstream success: the Kraftwerk-sampling ‘Planet Rock’ for Afrika Bambataa and the Soul Sonic Force, and the post-disco No. 1 hit ‘Walking On Sunshine’ with Rockers Revenge. The success of these releases led to remixing opportunities for high-profile artists throughout the 80’s, including Cyndi Lauper (‘Girls Just Wanna Have Fun’), Bruce Springsteen (‘Born in the U.S.A’) and Diana Ross (‘Swept Away’). Baker also went on to work closely with Bob Dylan, New Order, Al Green and Hall & Oates as a producer, while continuing to record and release his own music under his own name and manage two highly influential labels – Streetwise and Criminal Records. This studio master has been credited with changing dance music forever, and his impressive list of collaborators speaks to his considerable influence, outlining Arthur Baker's successful career and musical legacy that spans decades. Thanks for recording a mix for us. Could you tell us about the thoughts and process behind it – was there a specific sound or theme in your mind, or any particular inspirations? Any great tunes you could tell us something about? Just presenting my new stuff and works in progress. I’m always making music and playing it out to see the crowd’s response. I’ve always tested music before it was done, usually by bringing them to DJ friends at great clubs. You’ve been in the business a long time, do you feel that your approach to DJing has changed since you first started spinning records?Well, I’m actually a much better DJ now! When I started, I used two un-pitchable turntables and a stack of 45s. The technology we have is off the charts now, we have such a greater level of control and obviously [a wider] choice of tracks, although so many disco classics have remained on my playlist. I’m still trying to rock the crowd and create a party atmosphere. How would you say that the global dance music scene has changed since you first started DJing and producing, Arthur Baker?I first started DJing and making records 40 years ago so pretty much everything’s changed but that disco beat!The first big change I’d say was in the late 80s, when DJs started traveling from the USA to Europe, which really was led by the Chicago and Detroit DJs (Marshall, Farley, Innercity) producing hit records in the UK.This was a big change, because prior to that DJs had residencies (Larry Levan at Paradise Garage, Jellybean at the Funhouse, Frankie at the Warehouse, etc) also my great friend Mark Kamins from Danceteria (who discovered Madonna) was the first USA DJ to travel to Asia.Also, the entire festival scene, and the Vegas invasion of dance music led by Paul Oakenfold. Instantly being able to identify what DJs are playing with Shazam, and the technology of being able to create records on the fly. Now it’s such a huge business. Arthur Baker you’ve produced and remixed some incredible musicians since you began your career: Rockers Revenge, New Order, Afrika Bambataa, Pet Shop Boys, Bob Dylan, Cyndi Lauper, The Rolling Stones and Bruce Springsteen. Do you have any particular memories or stories from working with these artists that you could share with us? I was remixing Bruce Springsteen’s ‘Dancing In The Dark’ at the Power Station when the power went out, then the AC cut out. It was a summer evening and it was almost 90 in the control room, so Bruce (who had popped in to check out what we were doing with his baby) volunteered to go to the package store and get a case of beer, which we polished off.My Rolling Stones remix of ‘Too Much Blood’ is still a cult remix classic, but there’s tons of vocals that I left out because Jagger was incredibly off his face when he recorded them, and he was cursing Michael Jackson out a bit. I replaced Bill Wymans bass on it with Bryan Rock, from the reggae group Mojonaya, and he brought the groove to it. He also played on my remix of Springsteen’s ‘Cover Me.’ One of your most iconic productions is “planet rock”, a track for Afrika Bambaataa & The Soulsonic Force that features synths, vocoders and 808’s – and a famous melody inspired by Kraftwerk. Can you talk a little about what inspired you in the studio for this one?The first rap record I produced for Tommy Boy was ‘Jazzy Sensation’ by The Jazzy Five, which was a first-generation rap recorded with a live band. After that we discovered the 808 drum machine. We went into the studio with with the basic trans-europe idea, but decided to use the numbers beat. I thought it was incredible, but the rappers hated it, because the tempo of the beat confused them. But MC Globe saved the day and the rest is history, as they say. What are you working on currently? Are there any upcoming projects that you could tell us about?My main project right now is producing an album for Rockers Revenge, and also directing a documentary on their 36-year story. I recorded ‘Walking On Sunshine’ with the band in 1982 and it was an immediate smash, a Top-4 pop song in the UK and a No. 1 on Billboard’s Disco chart. It was recently remixed to No. 2 on the Traxsource chart by Full Intension. The film is about their journey and us coming back together. We have lots of surprise DJ collaborations on the album, and after releasing our new single ‘On A Mission’ on Crosstown Rebels, we are currently negotiating an album deal, with a new 12” out early in 2019.I also have a few releases coming out before the end of the year- one on Get Physical, ‘Higher Ground’, featuring the vocals of a great new Somalian singer named Lumina. Another one on Glitterbox, ‘No Price’ by the group Slam Dunk’d, and an EP on Exploited that’s due out early 2019. What are your plans for the future?I’ll be making music, playing music, and teaching my 4-year-old daughter how to do both.Finally, could you give us two tunes: one classic track, and also something fresh that’s caught your ear recently?A classic I’ve been playing quite a bit is ‘Body Music’ by The Strikers, a dirty, funky, disco-band track that was very influential to me on its release in ‘82- there’s a few great versions of it. Francois K and Larry Levan did a great remix.I went to Purple Disco Machine last week and he played a killer set. I loved Kuar by Emmanuel Jal, along with the FNX Omar remix, a rocking afro mix… I’m very into that sound lately.Arthur Baker can be booked for DJ sets through MN2S. Check out our DJ Roster for more incredible names from the world of dance music.